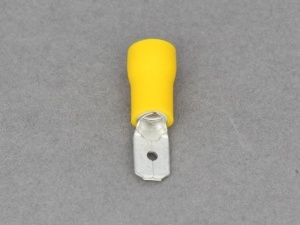 High quality, pre-insulated male blade crimp terminals for standard automotive/marine cable. Available in 6.3mm blade width. Sold in packs of 10 or 50.